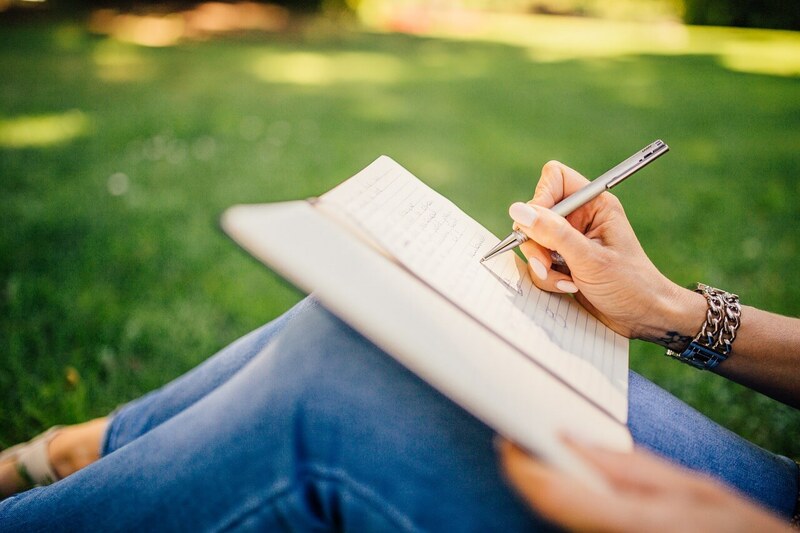 As winter days wane into the eventual thaw of spring, here are a few recent offerings from the first ladies of felonious fiction to help you capture the slow burn. 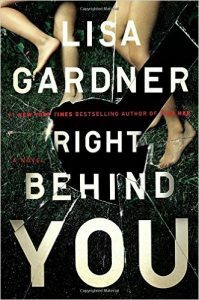 First up is Lisa Gardner’s outstanding Right Behind You (Dutton), which revisits FBI profilers Pierce Quincy and Rainie Conner, who were last seen in 2008’s Say Goodbye. Now consultants who continue to battle the demons of their pasts, they have become foster parents to 13-year-old Sharlah Nash, an introverted but intuitive survivor of a domestic dispute in which her older brother, Telly, bludgeoned their father to death to save their lives. Though the siblings have not seen or spoken to each other since that fateful night eight years ago, Telly’s reemergence and the ensuing bloodbath lead Quincy and Rainie to believe that he has his sights set on Sharlah and that his intent may very well be deadly. Of course, nothing is ever as it appears in a Gardner book, and the jaw-dropping twists come fast and furious—a frenetic energy that is brilliantly offset by introspective chapters establishing her characters’ histories and motivations. Beyond the thrills and an ending that’s wholly worthy of the build-up, the author offers insightful commentary on a range of social issues, from the harsh realities of the foster care system to the therapeutic effects of dogs. It’s an absolutely sublime melding of style and substance, and nobody does it better. Another stellar series offering comes from perennial bestseller J.D. 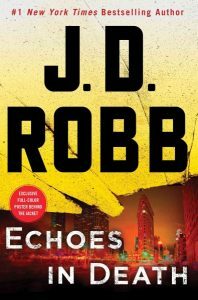 Robb, whose Echoes in Death (St. Martin’s Press) marks the forty-fourth entry in her futuristic In Death Saga featuring Lieutenant Eve Dallas. As Dallas and her dashing husband, Roarke, are driving home from a swanky evening affair, they nearly hit a bloodied and battered young woman who stumbles out in front of their car. Though Daphne Strazza survives the brutal attack (which she attributed to “the devil”), her husband—gifted surgeon Anthony Strazza—isn’t so lucky. Daphne’s vulnerable state compromises her value as a witness, and so Dallas—aided by her trusty, scene-stealing sidekick, Peabody—hits the streets to sort out the truth of the matter. When a startlingly similar crime occurs, it becomes apparent that this is no isolated incident. Dallas’s investigation is punctuated by the brash, verbally dexterous interrogations that have become a hallmark of the series. Her own traumatized past—a recurring theme that’s fleshed out with each subsequent story—largely informs her conduct even as it threatens to send her into an emotional abyss. But a sadistic killer’s rapid escalation doesn’t allow for such crises of faith—not that she’d ever willingly sacrifice the sanctity of the job for self-preservation. Fortunately, Dallas has an inner core of steel and a stellar cast of supporting characters to keep her personal and professional selves solvent. 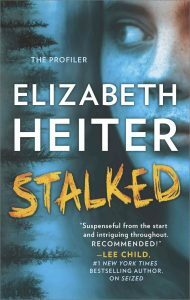 Also of note is Elizabeth Heiter’s Stalked (MIRA)—the fourth book in her popular Profiler series. As the story opens, FBI profiler Evelyn Baine is assigned to consult on the case of a missing seventeen-year-old high school student, Haley Cooke, who has left behind a cryptic note: If you’re reading this, I’m already dead. Despite that dire proclamation, authorities hold out hope of capturing Haley’s abductor (if she has indeed been kidnapped)—and recovering the girl alive. But this increased pressure by law enforcement, coupled with the subsequent media attention, also amplifies the likelihood of their unsub doing something desperate to avoid detection. Evelyn knows the risks but also understands that there’s little choice but to roll the proverbial dice and hope for the best. It’s a compelling premise, and one that the author augments with an exploration of the secrets and deceptions that plague youth culture and school campuses. Another highlight here is the relationship dynamic between Evelyn and local Detective Sophia Lopez; despite the inevitable turf wars that come with jurisdictional crossover, the two women forge an alliance that’s built on mutual respect and a common objective rather than the insecurities and power plays that often plague such pairings. Throw in unrelenting suspense and romantic intrigue, and you’ve got an undeniable page-turner. 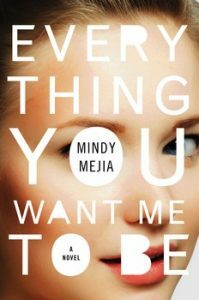 And finally, Mindy Mejia returns with a stunning sophomore effort, Everything You Want Me to Be (Atria/Emily Bestler Books). It’s the story of eighteen-year-old thespian Hattie Hoffman, who aspires to leave behind the small town of Pine Valley, Minnesota, for the bright lights and big ambitions of New York City. But when she’s found stabbed to death, her face mutilated beyond recognition, it becomes apparent that one of the roles she created for herself has resulted in her untimely demise. Meanwhile, Sheriff Del Goodman, a relative loner whose few close friends include Hoffmans, vows to exact justice—even if doing so means fracturing a community that’s nearly reached its breaking point. Mejia masterfully alternates perspectives between Hattie, Del, and high school English teacher Peter Lund, tantalizingly revealing a yearlong string of events that culminates in madness and murder. It’s not a particularly original construct (what is? ), but it captures a clarity and earnestness of voices that demand empathy for the characters even as you denounce their many misdeeds. Regardless of a surface sheen of sordidness, the complexities run deep. Arguably, though, the book’s most unsettling achievement is that it serves as a pointed reminder that the people we most often deceive are ourselves. Enjoy the heat, my friends.